178. Scrub Jay. Common resident of the scrub oak regions of the foot-hills and mesas. Less common on the brushy mountain sides up to 6000 feet. Breeds usually in April. 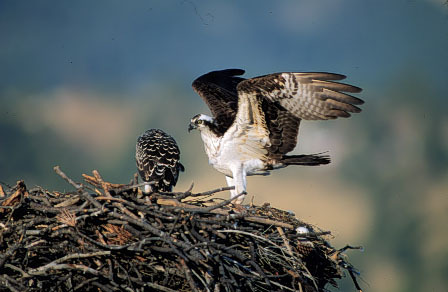 A nest was found near Pasadena on March 25 ('97), which contained young about two-thirds grown, this was unusually early. The latest set was of five fresh eggs taken H.A. Gaylord, May 25 ('95). This is undoubtedly the form to which our Aphelocoma are referable, for they are not the same as the true A. californica found further north. The habitat of A. c. obscura, whcih was described from the San Pedro Martir Mountains, Lower California, probably extends north, though less and less typically, as far as Tehachapi.